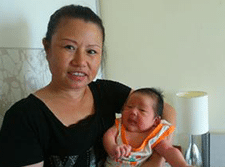 Apply Work Permit for Confinement Nanny? Do i need to apply temporary work permit for Malaysian confinement nannies if i engage them myself? Are they experience and reliable? Can i trust them? Do they really know how to take care of my confinement period? Will my confinement lady really turn up after i placed my deposit fees? What can i do if the confinement lady is hard to get along? Yes. These are the common questions you will be worrying if you decide not to engage any professional confinement nanny agency. Many new parents may have heard of colleagues, friends advising them that they did not apply confinement nanny work permit previously during their confinement period. They only ask for contacts from referrals or from forum. If the nanny require extension of stay, they only need to go back to custom for re-entry. Why pay extra for agency fees and government levy? People may be unaware that it is an offence for any foreigner to work in Singapore without an authorised mom work permit. It is stated under the Employment of Foreign Manpower Act (EMFA) (Cap. 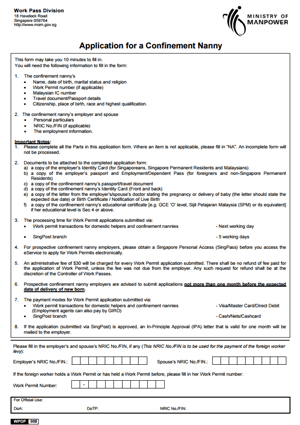 91A) that no foreigner who comes to Singapore as tourist or social visiting with a visit pass is allowed to work, regardless paid or unpaid. It will be treated as work pass infringement. The offender (employing foreigner without any valid work pass) will need to pay a severe fine between SGD5000 to SGD30,000 or charge for imprisonment for up to one year or being charged for both. More details regards to the penalties for common offences can be found at MOM website. If you decide to hire confinement nanny from Malaysia, you can apply the temporary work permit by yourself as the employer or through your appointed employment agency. MOM Guidelines states that application submission should be done not more than 1 month or 4 weeks before EDD or expected date of delivery of baby. The validity date for the temporary work permit is limited. Confinement nanny work permit is issued commencing from your child’s date of birth for a short term duration up to maximum of 16 weeks. The validity date will be shorter if the application is applied after the child is born. Therefore, the employers or parents for newborns of age more than 4 months are advised not to employ confinement nanny from Malaysia. There is also a certain criteria for both nannies and parents (employers) to meet before hiring. 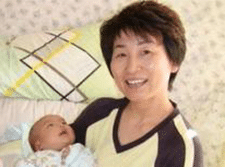 Work permit for confinement nanny can be extended or renew based on 2 conditions. You can extend confinement lady’s stay if the duration of the single-entry visit pass is lesser than the required employment period for her work permit or she has to leave Singapore during the employment period. You can apply for confinement nanny work permit extension by yourself or through your appointed confinement nanny agency. It is important for employer to note that before the expiry of the single-entry visit pass, the confinement nanny has to leave Singapore. The employer (if you are hiring by yourself) or your appointed licensed employment agent have to cancel the work permit of the confinement lady if her work permit expires or her employment ended even before it expires. The levy will be charged until the eve of the cancellation. Not mandatory for medical examination but advisable for parents or employers to send confinement nanny for medical checkup. Buying medical insurance for confinement nanny is required in case of any mishaps (at least SGD 15,000). Your insurance agent will be the best person to advise on coverage. You as the employer, will be responsible for the well being of the nanny under the conditions and regulations of Employment of Foreign Manpower. Employers are encouraged to learn what are the medical insurance policies available for the nanny from the agents. Online: 1 working day to process and approve unless more information is needed.